There are only three major peaks in Tibet which the Tibet Mountaineering Department has given permission for climbing. According to Buddhist Philosophy every mountain is sacred and should not be touched by human feet. One of these mountains is Everest which can also be climbed from the Nepal side, the other 2 are Cho-Oyu (8201 meters) and Shishpangma (8153 meters), neither of these giants are technically difficult but any mountain over 8000 meters (only 14 in the World) demands the greatest respect and those participating in either of these climbing programs will need to be of a high standard of fitness. 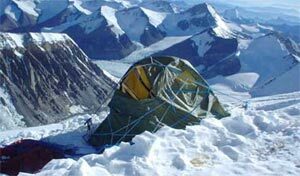 Our climbing team are vastly experienced all having participated in numerous Expeditions in Nepal, Tibet and India. Although Tibet Mountaineering Association has opened so far 22 peaks for expeditions and thinking of 3 more peaks opening above 6000 m. in the near future. 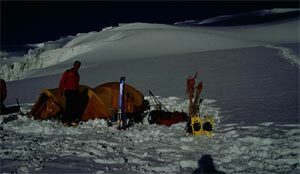 However, out of these 22 mountaineering peaks opened so far we, the Adventure Silk Road Inc., have set our choice for the following peaks only since there are generally persuaded by foreign climbers and alpine clubs throughout the world.